We’ve come up with a brief guide to the less talked about locations of Belgium. 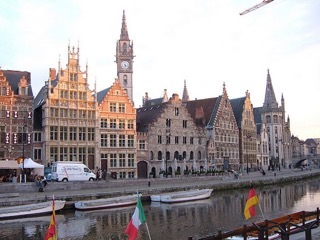 Most people are familiar with the major cities of the country like Antwerp, Brussels, Charleroi and Bruges but there’s so much more to Belgium than that. Backpackers and almost anyone who’s spent time in Belgium will recommend you try out some of the less publicised locations. As the summer heat lingers you’ll notice the crowds around the major attractions such as Brussels’ Grand Place tend to become somewhat of a tourist trap. Part of the attraction of Belgium is the atmosphere, how the locale can make you feel – it’s hard to build a real connection and make lasting evocative memories if your sweaty and bustling for elbow space to take a simple snapshot. So step off the beaten track – get your beer, chocolate and waffles elsewhere; Belgium has far more to offer! This city is fairly central in Belgium, if you intend to see as much of the country as possible during your stay (and why wouldn’t you?) it would be a good idea to choose Mechelen for your accommodation. The area has been a site of civilisation since the age of Romans and one of it’s most notable features the Cathedral of St Rumbold dates back to the 13th Century. So if you’re hoping to find a hotel with a decent view of the city you shouldn’t be hard pressed, as with a lot of Belgium there are some fantastic examples of architecture to get you up in the morning ready to seek out more. There are over 300 listed heritage buildings in this small city alone. Mechelen is a great city to visit for its atmosphere. Students of its Carillon School are often practicing bell ringing they also hold weekly one hour concerts. It is home to one of the oldest breweries in Belgium; Het Anker where Mechelsen Bruynen is made a beer said to be favoured by Charles V. The shops are spaced between cafes allowing you to while away your evenings in the dying sun sipping local beer listening to ringing bells in the distance. Each Saturday in Mechelen an open market is held, allowing you to buy local produce. At the end of August Maanrock a free music festival is to be held. This starts late in the day with DJs spinning from dusk till dawn on multiple stages. For a quieter time boat tours of the city are by far the most relaxing way to see the city and they only cost around €6. Mechelen is just a 25 minute train journey to Antwerp and Brussels so even using public transport you’ll be able to efficiently get around Belgium. A favourite for some, if you’ve spent the summer in the sun then where better to rejuvenate your skin than the birthplace of all modern spas? This small town was originally host to royal clientele after Henry VIII attested to the curative powers of the natural springs just outside of Lieges. Spa is famed for its waters and if you can’t wait to get there then you can buy bottles of it here in the UK. There are around 200 springs in the area, whilst we can’t assure you of their restorative nature the journey and environment will certainly do wonders for your soul. For a completely different experience of Spa this year’s Belgian Grand Prix will be racing in the small forest town late this August. You may also wish to visit the Casino at spa which could offer a bit of excitement in a place geared more towards relaxation. An hour journey from Brussels, Namur is well worth the journey. This once well fortified town may no longer have the strategic importance it once had but for tourists it is still a bastion of intrigue. 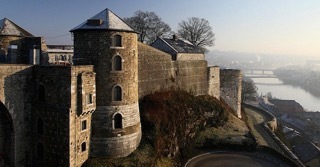 Namur is situated on the Meuse River, it’s battlements date back to the 13th century but originally it held one of the great European Citadels of the ancient world. The battlements are now open to the public and so don’t miss out on the chance to be afforded some of the best views in Belgium. Namur boasts some great historical architecture and public art as well. Though the weather should still be with any holiday-makers you shouldn’t forgo the museums particularly the Museum of Ancient Art. This displays some truly breath-taking pieces including medieval stained-glass windows, baptismal fonts, textile and armour. 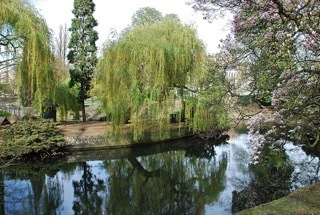 Namur also has works from the renaissance period and the 19th Century a museum dedicated to Felicien Rops, contemporary of Baudelaire, who’s influences on the art world are not fully recognised. There’s lots more to Belgium that we have yet to cover, but you can always go exploring for yourself with P&O Ferries!